In Network Art: Practices and postions, leading artists and critics describe how artists have extended the Internet’s social and digital architectures, in order to formulate proposals for operating in the highly connected world in which we live. The book explores a particular set of artistic responses to the emergence of the Internet covering a time from the early 1990s to the present day. Very early in this period artists became aware that networks could support multiple domains of activity by which it was possible for individuals and groups to propose and organize alternatives to dominant histories, ideas and practices. Within the hardware and software structures of the Internet they confronted new ways of working and communicating, and attempted to develop alternative exhibition and dissemination strategies to mainstream art world models. 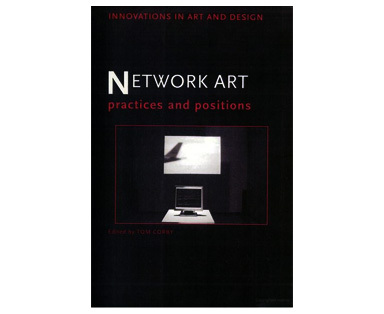 In the same spirit, Network Art: Practices and Positions does not attempt a centralizing history of these and related approaches but instead curates a set of practices that weaves one possible description of artistic procedures amongst the myriad forms developed by artists since that time.